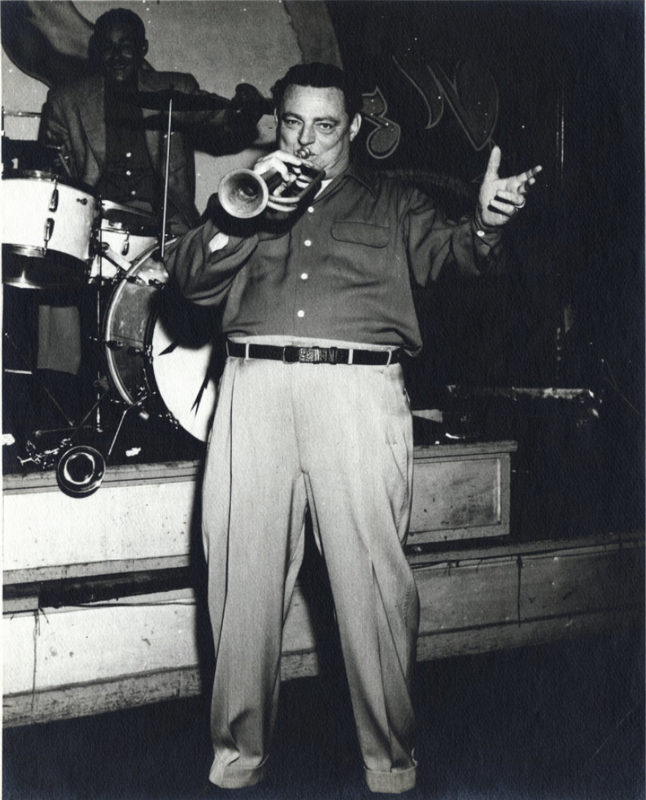 Before there was a “Sam The Bugler” (the racetrack trumpeter in New York) there was “Buglin’ Sam” DeKemel. 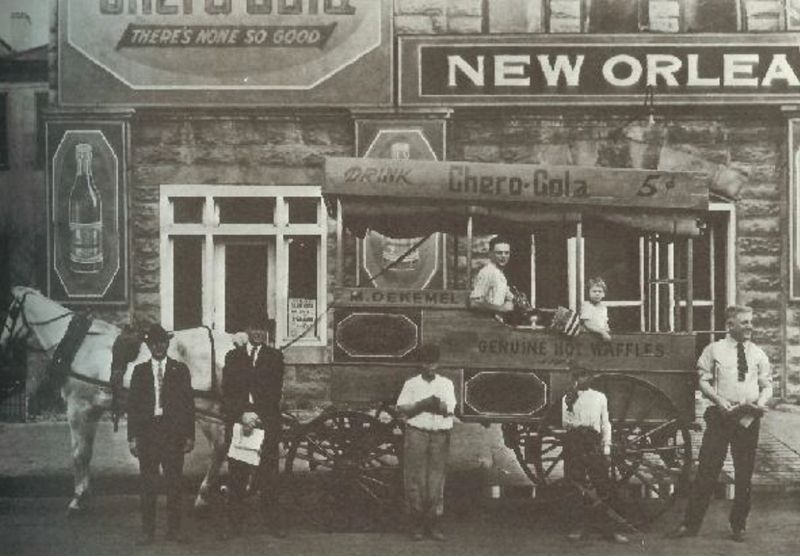 Waffles were sold from horse-drawn carts and catered to many neighbors around New Orleans to people who enjoyed hot and fresh sugar-dusted waffles. 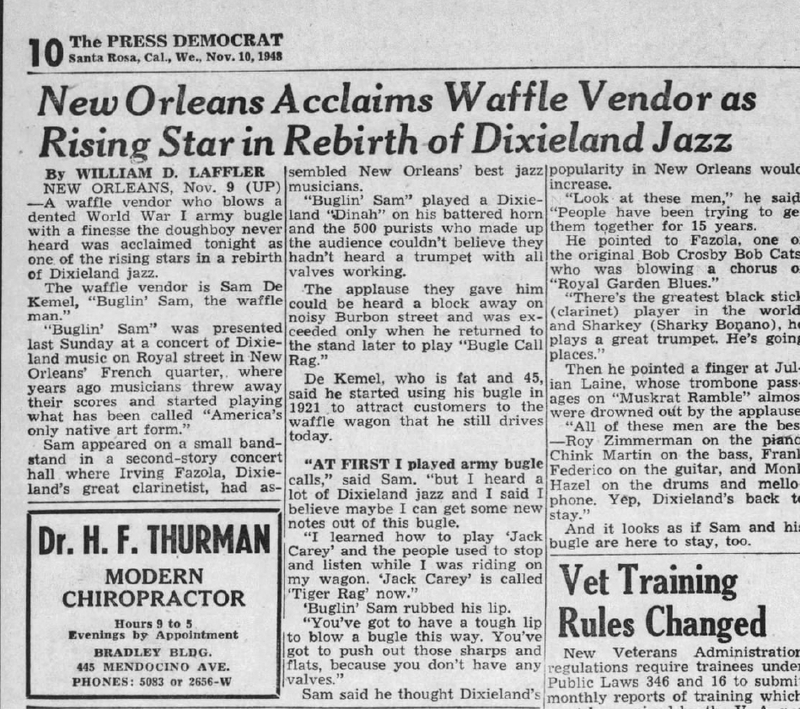 Another New Orleans favorite is Chicken and Waffles although it’s not known whether Sam and his father sold that combination. Sam purchased a M1892 Field Trumpet in G (commonly referred to as a bugle) and used it to announce when the cart came into the neighborhood. He said he was taught to play by his Grandmother. Around 1921 he started playing “Tiger Rag” on his bugle.“Tiger Rag” was such a popular song emanating from New Orleans that it had many authors claiming credit. Originally known as the “Jack Carey” or “Number Two”, it was souped-up from a French quadrille. Its composer is said to have been Achille Baquet, with cornet and trombone breaks worked out by Punch Miller and Jack Carey. Jelly Roll Morton claimed it as his own, as did Nick La Rocca (whose Original Dixieland Jazz Band made it famous in 1917-1918). 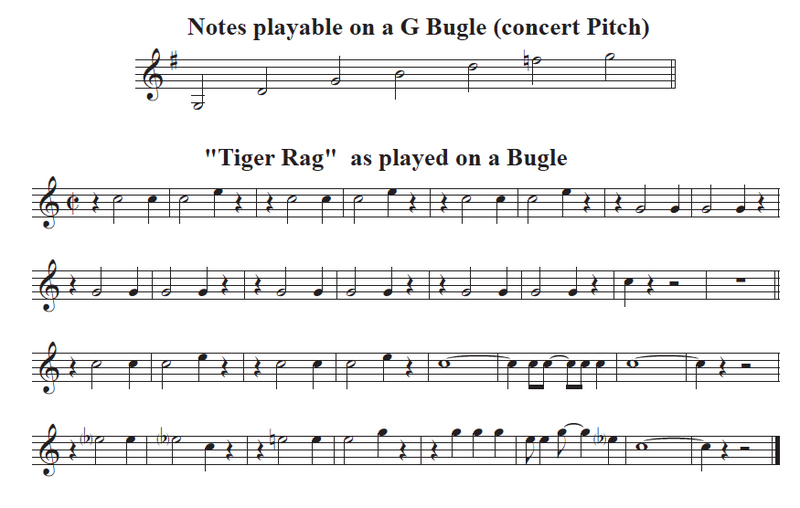 You could play “Tiger Rag” on the bugle if you bend the third note (the E) down a bit. On a bugle you can only play the notes of the overtone series. So you really can’t play all the notes of a song but you can enough for people to get the idea of the tune. 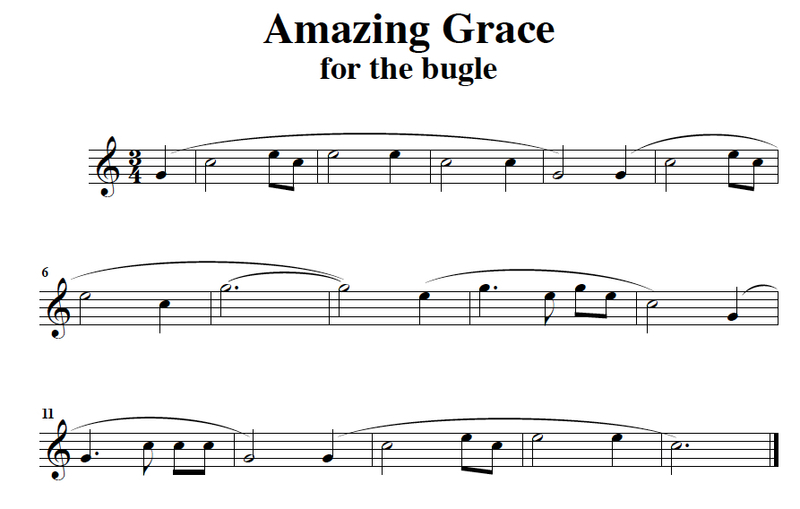 For example you can play Amazing Grace on a bugle with enough notes for people to recognize the hymn. So a bugle playing in a Jazz Band can seem to be a novelty or maybe a gimmick. You can’t play chromatic notes and all the tunes need to be in the key of G. But Sam got involved with Tony Almerico’s Parisian Room Band. 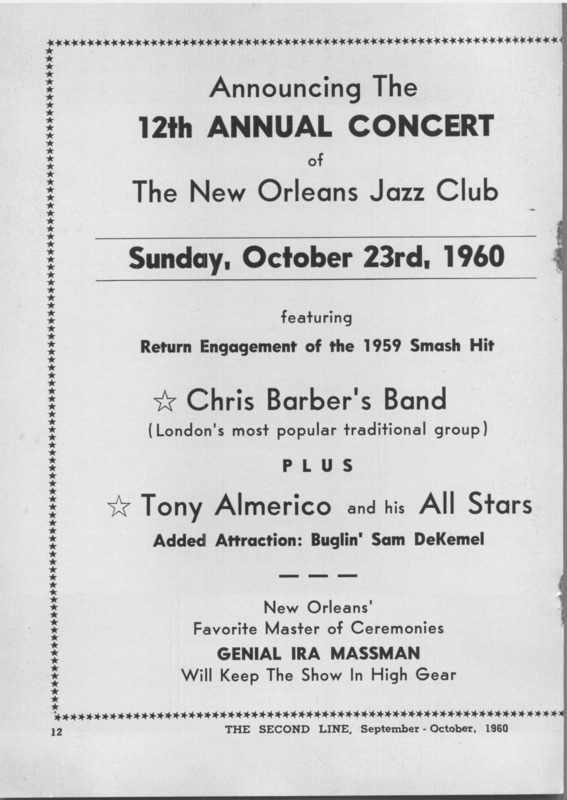 They recorded an album called Clambake on Bourbon Street which featured Sam on his bugle. He is featured on Waffle Man Blues, and St. Blues. He also recorded Bugle Call Rag for Capitol Records, and Has Anybody Seen My Kitty? So could he really play enough notes on a bugle for a real Jazz solo? If one were to believe Hollywood movies you would think it possible. Take the scene in “From Here To Eternity” where the bugler Robert Lee Prewitt (played by Montgomery Clift) plays some hot Jazz licks on his Regulation bugle. Hollywood studio trumpeter Manny Klein performed the “bugle Jazz” showing that it was possible to play some of the Jazz licks on a bugle with the exception of the last run in the penultimate measure. Supposedly producer Harry Cohn insisted Klein should play it on a bugle. Klein told him it would sound way better on a trumpet, but Cohn wanted it to be a bugle, so they recorded him on the bugle and Cohn thought it was good. But after Cohn left, Klein went back to the studio men, and insisted they hear him play it on the trumpet, and it was so much better that they recorded it, and then they used that recording in the movie, and lied and told Cohn it was the bugle recording. I don’t know if that is a true story, but the clip is wonderful. To a close listener it does sound like the last notes are indeed dubbed in. 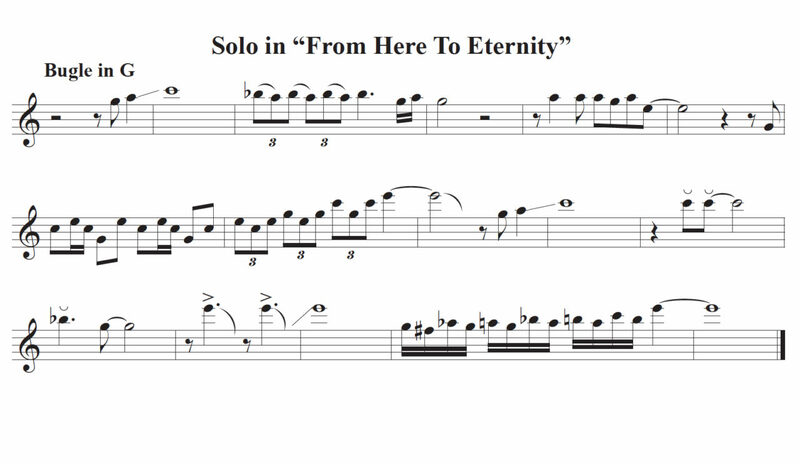 Here is a transcription of that solo-Thanks to Alex Heikkila of Monroe, Louisiana and John Schmitt of Baltimore Maryland for their help! 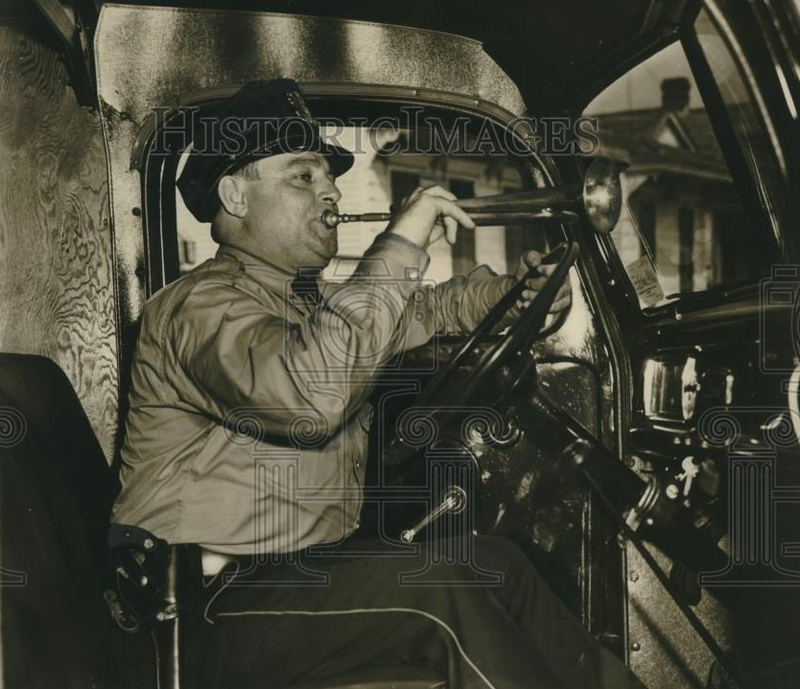 In later life, Matthew Dekemel was a probation officer, and when he retired from law enforcement, called races at the New Orleans Fair Grounds. He died January 6, 1967 at the age of 64. 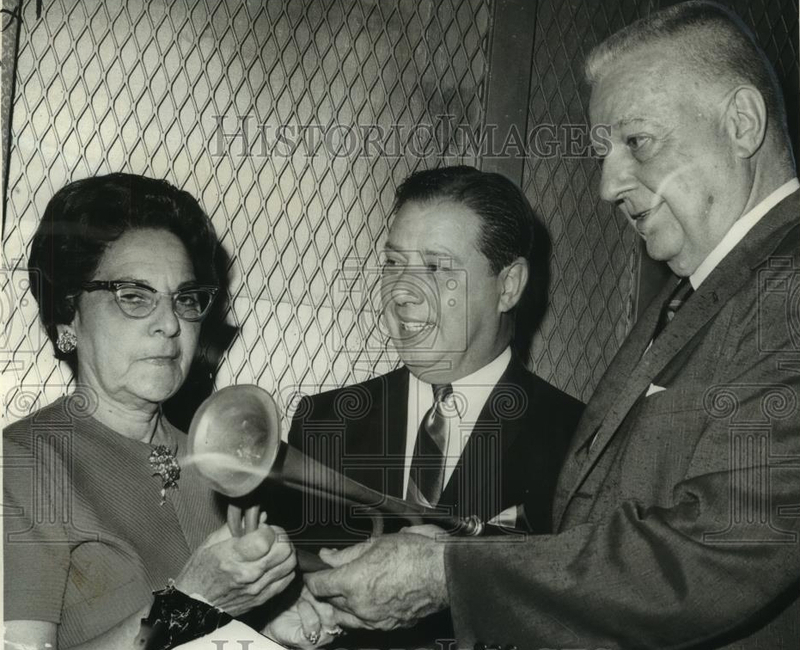 In April 1968, Matthews’s widow donated the bugle to the New Orleans Jazz Museum, It was accepted by Joe Gemelli, vice president and Durel Black president of the New Orleans Jazz Club. Has Anybody Seen My Kitty? This entry was posted on Friday, February 9th, 2018 at 8:14 pm	and is filed under Bugle Stories, Buglers Through History, Bugles for Performing and Collecting, General Interest, Getting Started on the Bugle, History of Taps, History of the Bugle, Jari's Articles. You can follow any responses to this entry through the RSS 2.0 feed. You can leave a response, or trackback from your own site.